If you already do not have Twitter Inc (NYSE:TWTR) in your portfolio, then it might be time for you to start thinking in terms of making an entry. On Friday, 23rd January, 2015, the micro-blogging site announced the launch of Flock, a platform meant for facilitating interaction between the organization and developers. It is the first attempt on part of the company’s re-invention strategy wherein it intends to graduate on to an entity providing infrastructure and ads for mobile apps. 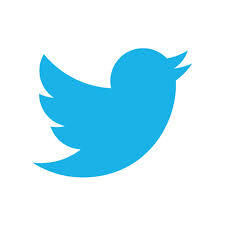 To this effect, Twitter Inc (NYSE:TWTR) held an event in Los Angeles for developers in a bid to convince them to accept Fabric, a developer toolkit which it had introduced in October. By using Fabric, a developer would be including Twitter in his app developing process right from the inception stage and this is what the company wants. On its part, the company intends to provide support and enable the developer as also his app to grow. Overall, the outlook at this event was positive and it is good beginning for the global tour of 18 cities which will be undertaken by 10 developer advocates to promote Fabric. Going by the response so far, it appears to have hit a chord and hence investors might do well to include Twitter Inc (NYSE:TWTR) in their portfolio.